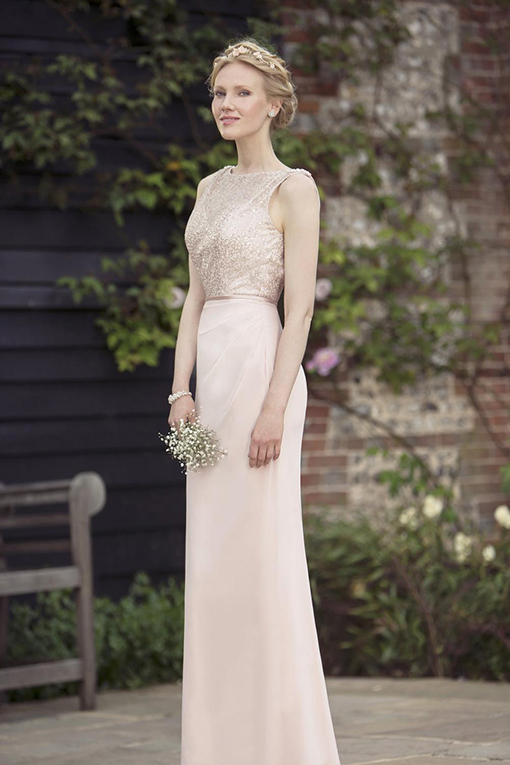 New to the True Bridesmaid Collection is this shimmery sequinned dress ideal for any bridal party. We love this for your maid of honour or mix and match with similar styles for all the maids. The sequinned bodice is available in three perfect hues which can be paired with over 50 of our bridesmaid shades. This dress is designed with our signature chiffon skirt silhouette for a flattering fit and a zip up back finished with buttons. Pictured here in Ballet Pink with Rose Gold Sequin.